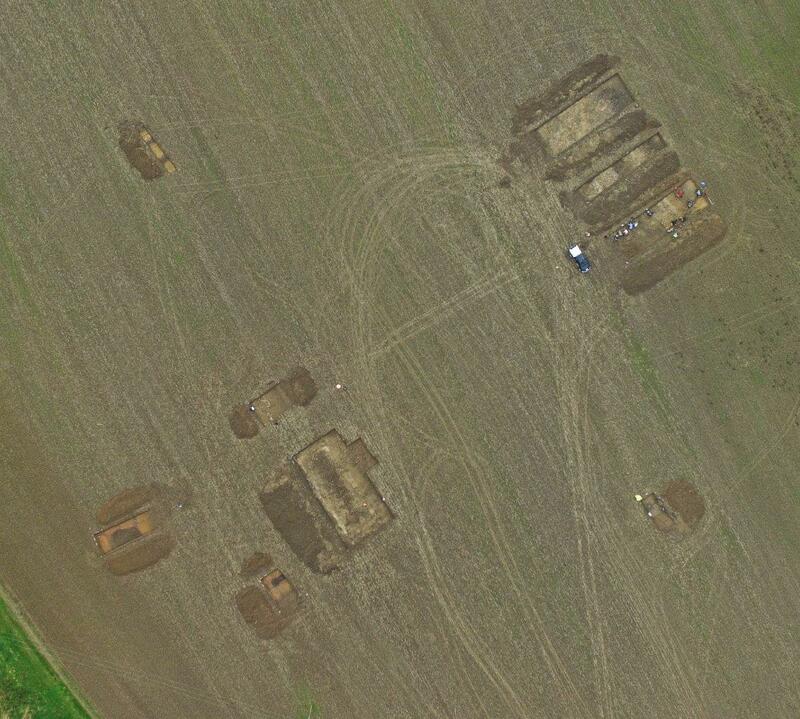 Some stunning photos of the site from Richard’s drone…………….the three trenches (top right) are across the main villa. 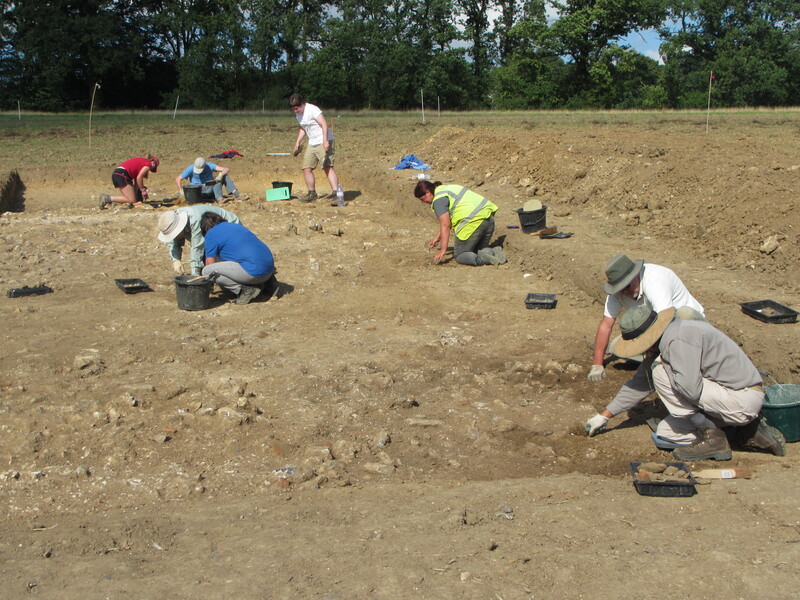 The biggest of the cluster of excavations (bottom left) is the secondary building/villa. 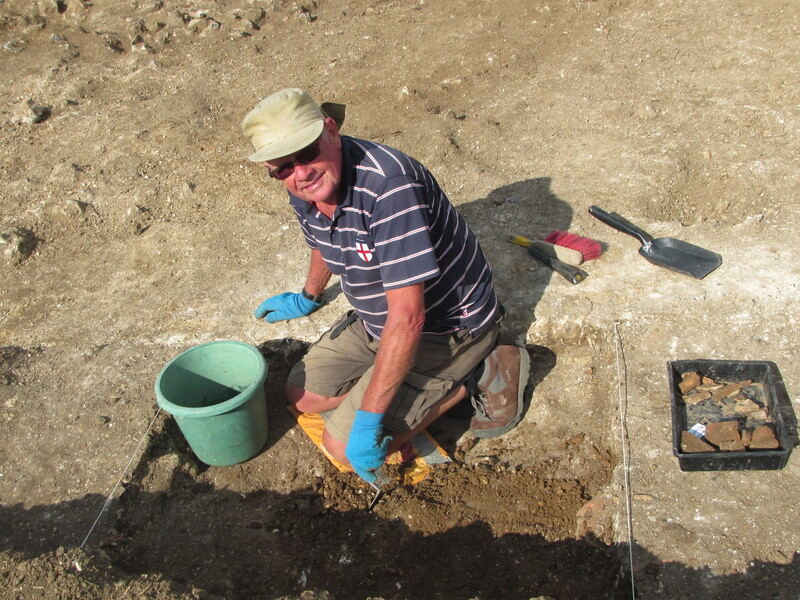 Jim – in a hole again – this time in trench 4 the smaller building. He always finds something special! What is this? Tom and Agata are puzzled. 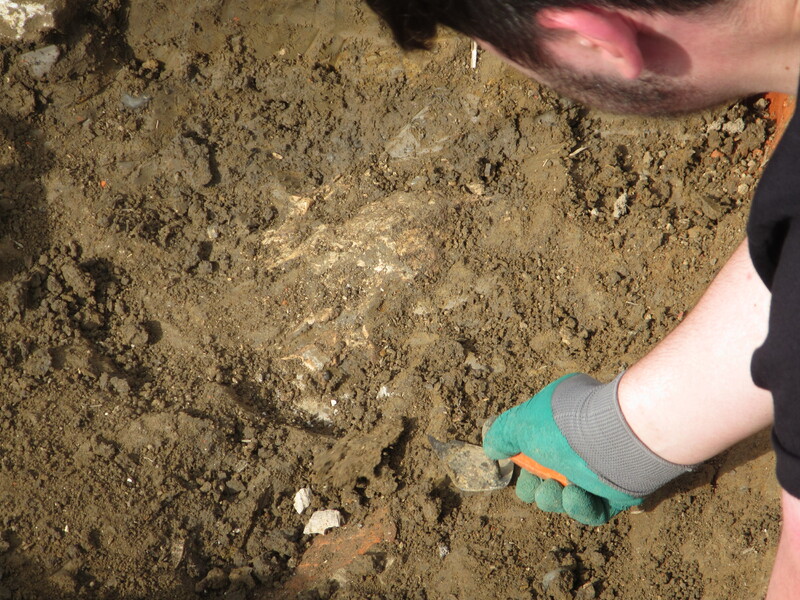 Looks like a large bone with a curved surface….will cover it up for tonight and get Matt to look at it in the morning! 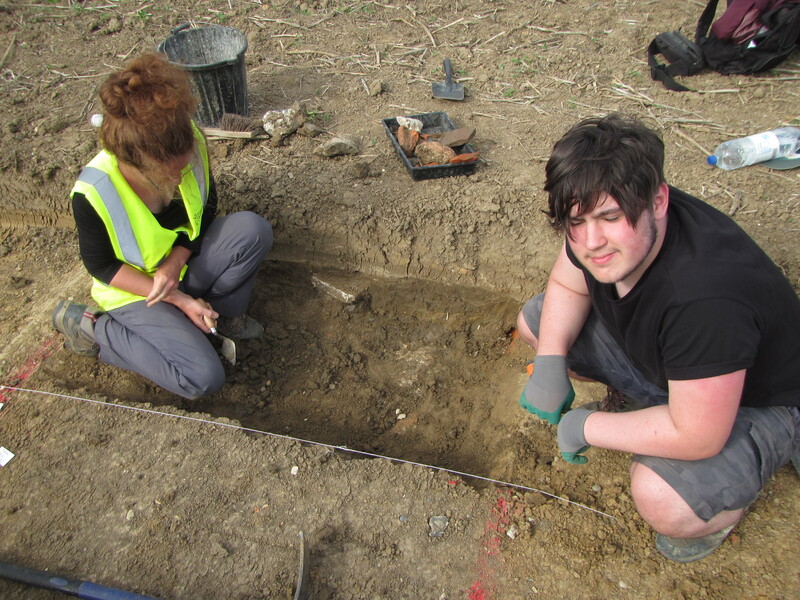 Gary and Jack (not in the picture) have dug this trench 9 and made it immaculate. 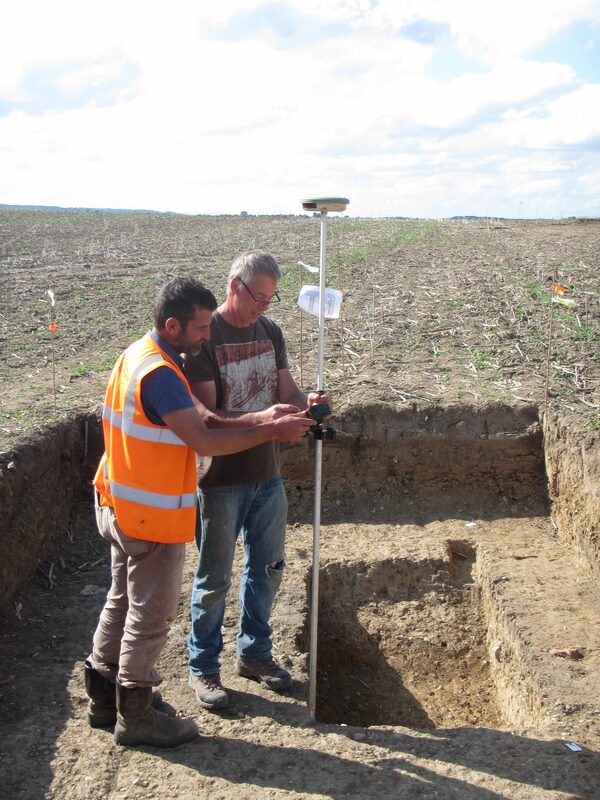 It is now finished and Matt is showing Gary how to accurately plot the cut using Cotswold’s GPS system.